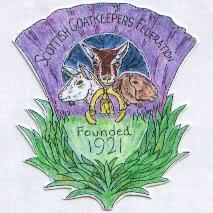 I have been on the phone to a friend who keeps Golden Guernsey goats, and she is looking to decrease her numbers a wee bit. She currently has 2 castrated boys for sale, both adults. Looking for a good home for them both. She also has a few pregnant females, who are due in March. She is looking to keep them just now, but after they have kidded, she may have kids for sale (possibly female or castrated males) and may look to sell an adult milker or two as well. Located in Perthshire, Central Scotland- send me a pm if you would like to get in contact with her or get more details.